Find an editor or other publishing professional. Learn what editors do and the process for contracting with them. Locate useful writing, editing, and publishing resources. 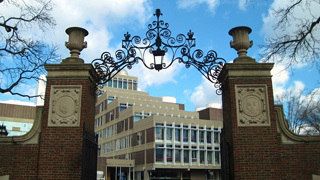 The Cambridge Academic Editors Network (CAEN), founded in 1993 in Cambridge, MA, is an informal network of freelance editors. * Our website profiles about 50 of them, and another 100 subscribe to our listserv. CAEN members work with clients locally and worldwide. We provide editorial services for students, faculty, researchers, and other individuals as well as for publishing companies, research institutes, and nonprofit agencies. Many of our clients are nonnative speakers of English. CAEN members have experience in many types of editing and publishing services and in a wide range of subject areas. All editors profiled on this website have at least five years of academic editing experience—and most have considerably more. This website is designed to help you find an editor with the expertise you need. Consider reviewing the profiles of several editors to identify three or four who represent the best match for your project. (See our advice on choosing an editor.) If you browse our profiles and can’t find an editor whose skills appear to match your project needs, please click here to send an email requesting further assistance. This website also offers information about editorial services and the types of work editors perform, as well as links to useful resources. CAEN is an informal, unincorporated network and is neither an employment agency nor a contracting entity. Editors are responsible for ensuring the accuracy of their profiles and for setting their own rates. CAEN makes no representation as to the accuracy of individual profiles or the qualifications of individual freelance editors and does not receive a referral fee. *On our website, the term “editors” includes those engaged in all editorial professions profiled in Areas of Expertise.